The Mighty Wooly Bugger/Woolly Bugger. 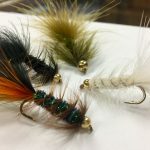 The fly of a few different spellings, pronunciations, sizes, colors, ways to fish, and species that can be caught on it. The Wooly Bugger. In doing some research on the Wooly Bugger it seems there are a couple things that most agree on. 1, the pattern and name was created in 1967 by Russell Blessing’s from Harrisburg, Pennsylvania. 2, it’s a catch all pattern highly recommend and fished by anglers all over the world. 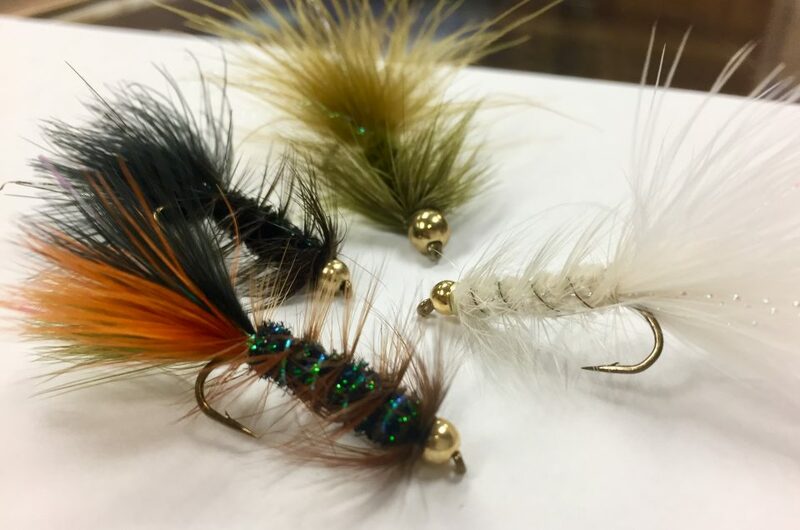 This is one of the most versatile flies/patterns you can have in your fly box no matter which species you are targeting. 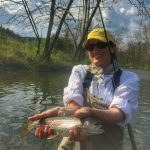 Trout, large and smallmouth bass, steelhead, salmon, carp, and countless other species. A few reasons this fly is so popular is, it can be tied and fish in a wide verity of sizes and colors. It can be tied weighted or unweighted. It can be fished effectively in a number of different presentations. The bottom line is, fish love to eat it. A couple reasons I personally love the wooly bugger. First and foremost it catches fish. Lots of fish. Second, it’s easy to tie. 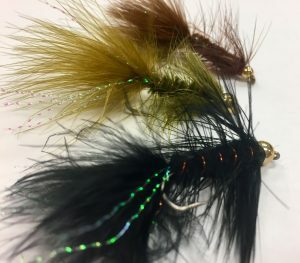 I believe I’ve mentioned in some of my other posts that I don’t enjoy tying flies as much as some do but, I do tie a lot of buggers. Third, did I mention it catches fish, lots of fish? Oh, almost forgot. It is very easy to fish as well. What I mean by that is, it’s hard to fish it wrong. You can dead drift it, you can give it a little life with small twitches, you can retrieve fast, slow, upstream, downstream. All I’m saying is, if it’s in the water and not a tree there’s a pretty good chance it’s going to get eaten. If you’ve ever fished with wooly buggers you know what I mean. If you have never fished them do yourself a big favor and give them a try. If you would like to learn how to tie this pattern? This is the fly we will be covering during this Saturdays fly tying class. Our Saturday morning classes are held here at the shop/Albemarle Angler from 10:00-12:00pm and are free to attended. Vices and tools are provided to those who need them. If you’d like to join us please give us a call (434) 977-6882 to reserve your spot. Space is limited. Hope to see you Saturday.